First of all, I have to start by saying thank you again for all of the love and support. Starting an online boutique is such a huge endeavor, and it makes it so much easier knowing you are all as excited as I am. Thank you!!! I had to start today with a look at a gorgeous home that is sure to inspire. UK style never ceases to amaze me. I am in love with the blend of modern and traditional that can be seen throughout magazines like Living Etc. and Elle Decoration UK. 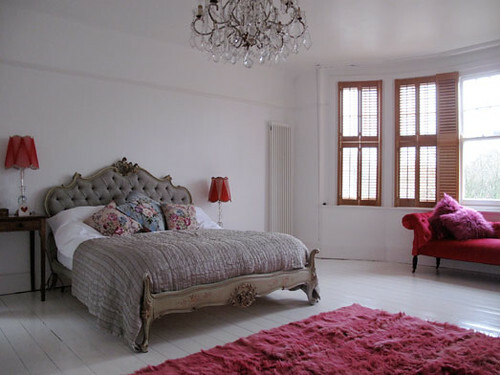 This seven bedroom home in London is a perfect example. 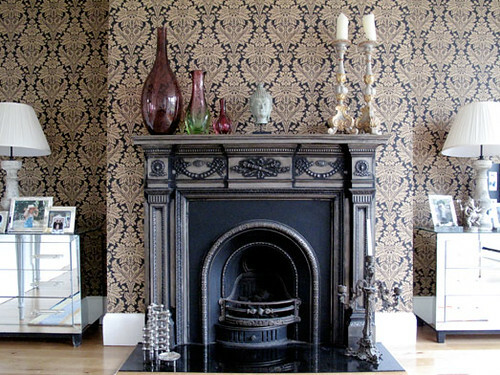 This traditional fireplace is brought to life with bold wallpaper used to create a feature wall. Pops of purple liven up the gold and black palette. 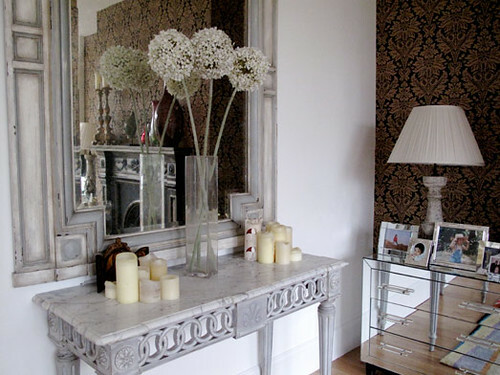 A classic marble console is made to feel a bit casual with a simple, unfussy floral arrangement. This bedroom is my favorite. Pops of hot pink and the crystal chandelier truly bring it to life. The black and white wallpaper is stunning. You can find something similar at Brocade Home. 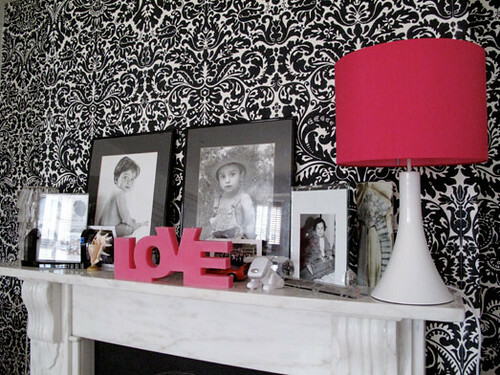 The bold color combo of hot pink, white and black updates this space with a modern edge. 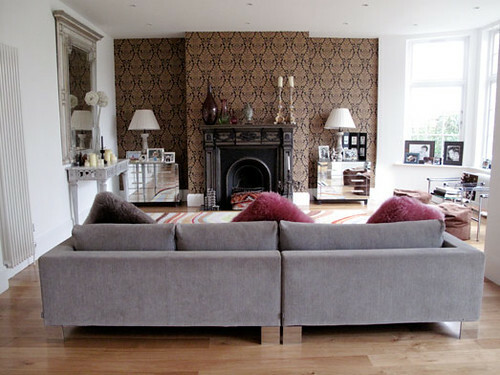 For more amazing pics of this London home click right here. Enjoy! So glad you like the home. That pink shag rug in the bedroom is so funky, and I love how it works in such a traditional space. I dig those splashes of hot pink. Congrats on the online spot. I can't wait to check it out. 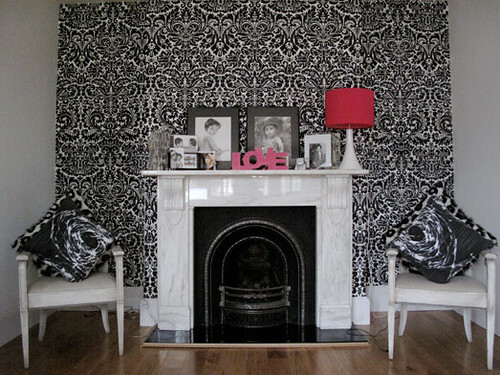 I heart heart heart the black and white fireplace wall! Gorgeous!